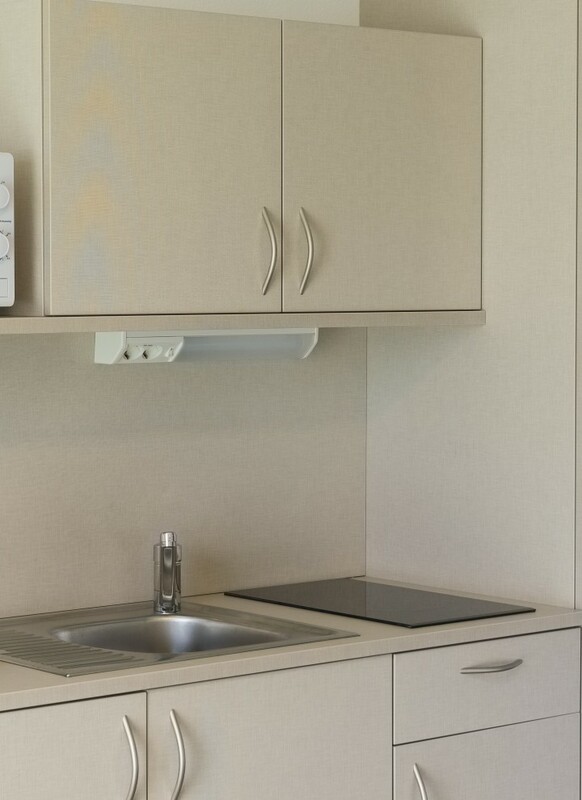 Rooms with 4 m² more space. 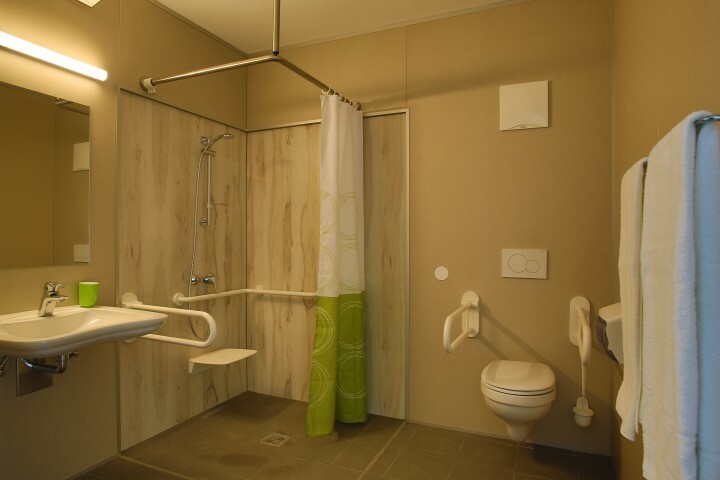 Wheelchair accessible by ground level roll-in shower and accessible washbasin. 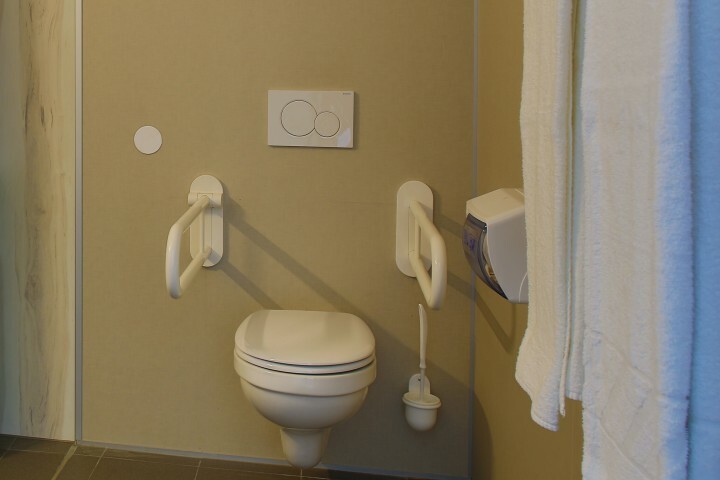 Our room on the ground floor has been designed to meet the needs of wheelchair users.The room is 4m² bigger than our standard economy rooms. It offers enough room to move around. 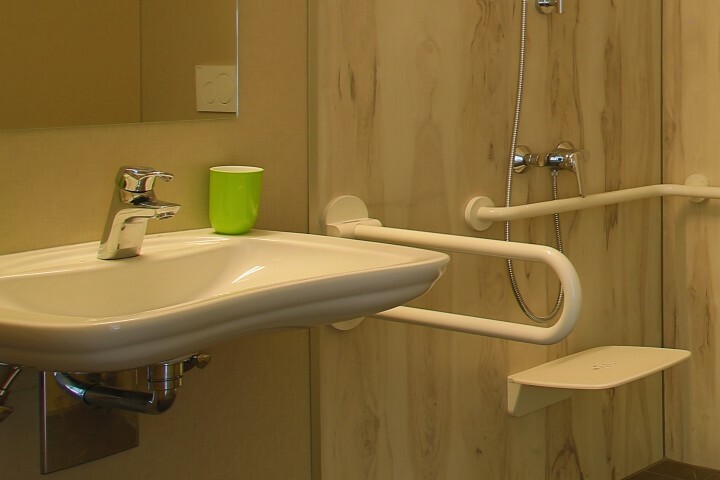 A ground level shower, enough space under the washbasin and grab handles on the toilet make the bathroom easy to use in a wheelchair. Prices are per night per person, including taxes, without breakfast. 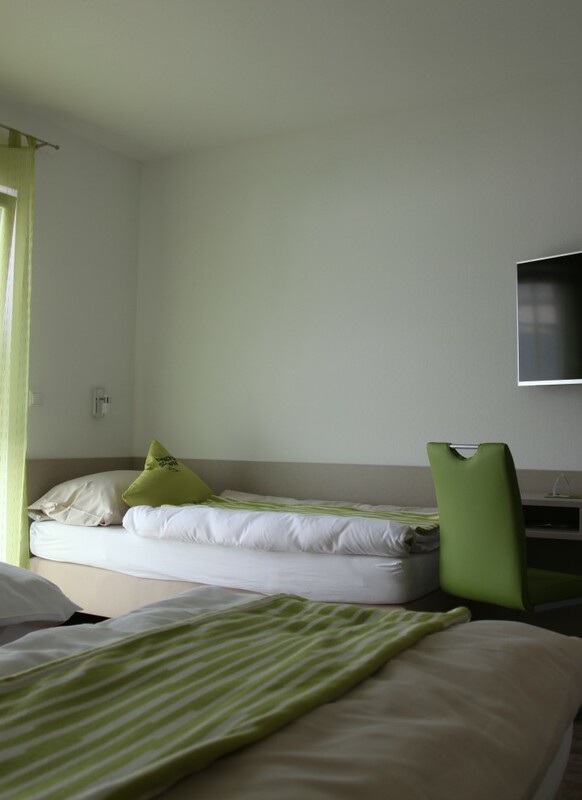 You'll find detailed price information for your arrival date on our site "easy booking"! A full regional breakfast can be booked additionally. 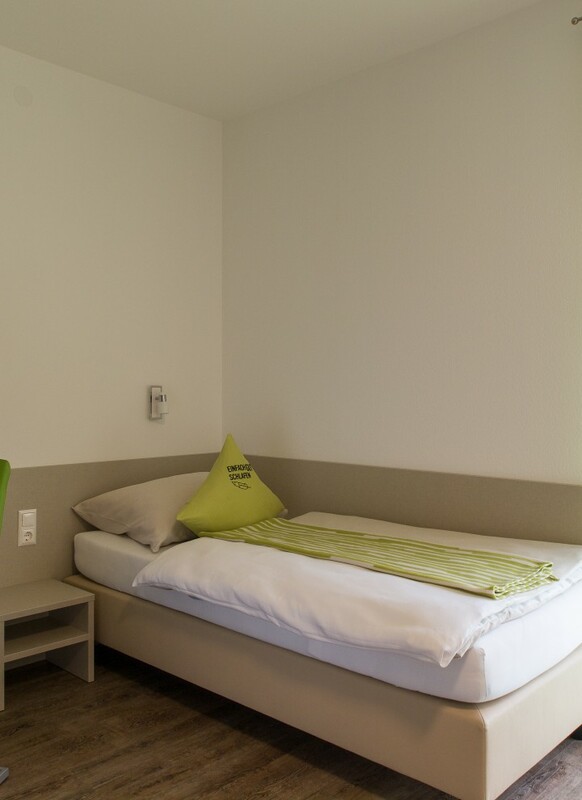 Accommodation is free for children under 6 if they sleep in their parents’ bed. 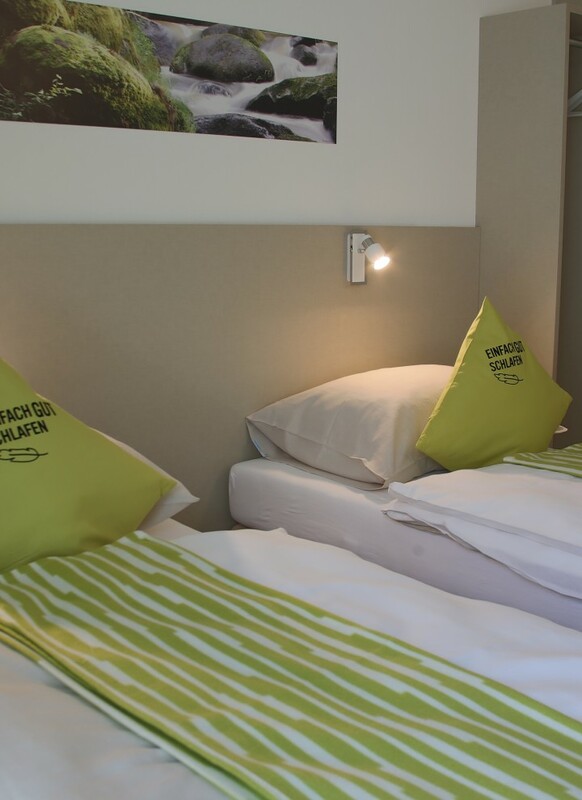 Pets are welcome for an additional charge of € 6,60per night.